Exit #22-Powers Ferry Road and Northside Drive. Turn right at the light at the end of the exit ramp. At the next light, turn right onto Powers Ferry Road. Ray’s on the River is approximately one-half mile on the left, just before the Chattahoochee River. Exit #22-Powers Ferry Road and Northside Drive. Go to the second light, Northside Drive, and then turn left. Go to the second traffic light and turn right on Powers Ferry Road. Ray’s on the River is approximately one-half mile on the left, just before the Chattahoochee River. Exit #258-Cumberland Boulevard Parkway. At exit light, turn right. Go to the third traffic light and turn right onto Akers Mill East. This becomes Powers Ferry Road. Rays on the River is 2.4 miles on the right, just after you cross the Chattahoochee River. Exit #258-Cumberland boulevard Parkway. At exit light, turn left. Go to the fourth traffic light and turn right onto Akers Mill East. This becomes Powers Ferry Road. Rays on the River is 2.4 miles on the right, just after you cross the Chattahoochee River. Take I-85 to I-285 West. Exit #22-Powers Ferry Road and Northside Drive. Go straight at the end of the exit ramp to the second light and then turn left. Go to the second traffic light and turn right on Powers Ferry Road. Ray’s on the River is approximately one-half mile on the left, just before the Chattahoochee River. Take Camp Creek Parkway to I-285 North. I-285 North will change to I-285 East (it a big circle). Exit #22-Powers Ferry Road and Northside Drive. Turn right at the light at the end of the exit ramp. At the next light, turn right onto Powers Ferry Road.  Ray’s on the River is approximately one-half mile on the left, just before the Chattahoochee River.